AARP Archives - Read. Think. Act. 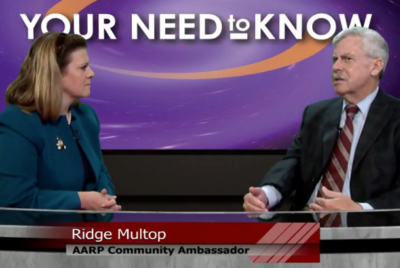 (Oct. 3, 2018) Catherine Read sits down with Ridge Multop, community ambassador with AARP, to discuss information regarding the Medicare program. October through December is open enrollment season, and it is important for seniors to understand the ins and outs of the system before committing to a plan. President Lyndon Johnson signed Medicare into law 53 years ago. At the time the country was facing a healthcare crisis. Many seniors were living longer than ever before, and were unable to secure medical coverage from private insurers, due to their age or their preexisting conditions. The Medicare system was established as a safety net in order to provide hospital and outpatient care to all Americans over the age of 65. This original program is known as Medicare parts A and B. Establishing Medicare was a huge undertaking, and critical to providing a safety net to seniors in America. Legislators recognized, however, that there were gaps in coverage. Therefore, they established Medicare Part C plans (also known as Medicare Advantage plans) as an option for seniors. These plans are sold by private insurers, and are designed to complement Medicare parts A and B. These are supplemental plans that seniors can purchase for additional monthly payments. More recently, Medicare Part D was created in the early 2000’s. This program specifically targeted the rising cost of prescription drugs, in an effort to make medications more affordable for the elderly. Multop points out that there are still certain benefits that are not covered through Medicare, including vision, hearing and dental care. Forty-eight million Americans are covered through the Medicare program, with a total cost topping $680 billion dollars. As people are living longer and the baby boomers age into the program, the rising rolls will increase the costs to maintain Medicare. Multop points out, however, Medicare is not an entitlement. It is a benefit program that people have paid into their entire working life. As expenses increase faster than funding, the Medicare trust fund is projected to run dry by the mid 2020’s, unless changes are made to sustain the program. Multop shares that today, 75% of the funding for Medicare comes out of the general treasury fund, combined with the payments from the monthly premiums. If the President and Congress fail to come up with a funding formula that will sustain the program, than the result will be premium increases. Do you prefer converting Medicare to a voucher program? What changes would you make to ensure that people will continue to get the promised Medicare benefits that they have earned? Lastly, Multop wants people to know that Medicare recently sent out new cards to all members in April through June of 2018. The old cards contained social security numbers, which put people at risk of identity theft. If you did not receive a new card, contact your local office to get a replacement. He also shares that Medicare will never ask you for a social security number anymore. If you encounter someone requesting this information, it is most likely a fraudulent scam. Should you need help or assistance with understanding Medicare or Medicaid benefits, he encourages people to reach out to the Virginia Insurance Counseling Assistance Program (VICAP). They are available to work with Virginia residents to help understand the various benefits and programs. 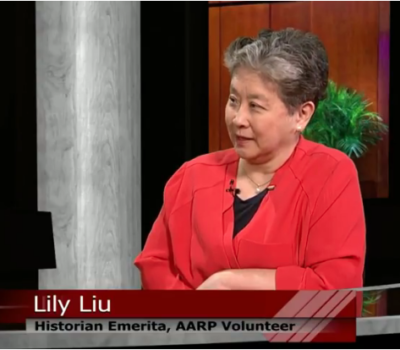 (Aug. 22, 2018) Catherine Read sits down with Lily Liu, Historian Emerita at the AARP, to discuss the life and legacy of Ethel Percy Andrus, Ph.D. (1884-1967), founder of the organization. (Until 1999, it was known as the American Association of Retired Persons.) As AARP marks its 60th anniversary in 2018, Liu shares important information about the history of the organization and the inspiration she finds in its founder. Born in 1884, Ethel Percy Andrus was a schoolteacher and made an enormous impact, one student at a time. Upon retirement, she offered her volunteer services as a welfare coordinator in her home state of California. She was shocked when she met so many seniors who were living in poverty, asserting that nobody who works their whole life should have to suffer in this way. A turning point was when she met a retired schoolteacher who was living in a chicken coop because they could not afford their own home. This drove her to found the National Retired Teachers Association (NRTA). She worked collectively with the state associations to bring them together to form a Federation that successfully advocated for better pay, retirement and health benefits. Many seniors, who were not schoolteachers, reached out to Andrus during that time and asked if they too could join her federation. Unfortunately, they could not because they were not teachers. It did give her the idea to create a broader organization catering to seniors, which led to the birth of the American Association of Retired Persons organization in 1958. 38 million members strong, AARP is a nonpartisan nonprofit dedicated to representing the interests of seniors nationwide. Each state has its own office to support their residents, and Virginia’s AARP headquarters is located in Richmond. A wealth of resources can be found on their website, including premier events, travel opportunities and volunteer jobs that need to be done in the community. The three pillars of the AARP organization are independence, dignity and purpose. Jim Dowd, Executive Director of the Virginia AARP, works tirelessly day in and day out to advocate on Capitol Hill in Washington, as well as in the halls of the Capitol in Richmond, to ensure that the needs of seniors are well represented when legislation affecting them is being crafted. AARP advocates on issues such as healthcare for seniors, sustaining livable communities, aging in place and everything in between. Lui reminds us about the importance of having Ethel Percy Andrus as a role model. Andrus began her journey to help seniors upon retirement from a long and successful teaching career. She gave equally as much to the world in her role as an advocate and champion for seniors, as she did to the children she taught in school. She had a vibrant, rewarding and fulfilling life in her “encore years” and serves as an inspiration for all of how to carve out meaning in the chapter of life that begins after retirement. (Mar. 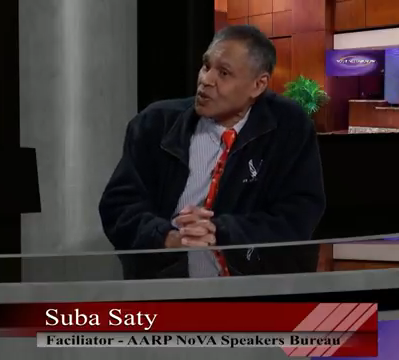 28, 2018) Catherine Read speaks with Suba Saty, facilitator for the AARP Speakers Bureau in Northern Virginia. The Speaker’s Bureau is a wonderful benefit for AARP members, as the discussion topics are wide and varied, and provide a rich resource of information. Saty is in charge of finding speakers and matching them with organizations and programs in the community. Presentation topics include everything from understanding Social Security and Medicare, to the 5 Pillars of Brain Health, to Protecting Yourself from Identity Theft. The AARP website offers a full listing of upcoming talks, along with locations and registration information. AARP has recently forged a partnership with the Osher Lifelong Learning Center (OLLI), which is a part of George Mason University. Other speaking engagements take place at community centers throughout Northern Virginia, as well as in churches, synagogues and mosques. Anyone can request a speaker, but Saty notes that due to high demand they normally schedule engagements about 3-4 months out in the future. Speakers are also available to participate on panels for local conferences. The Bureau is always looking for qualified volunteer speakers. If you have a specific expertise and are interested in getting involved, you can apply online to be vetted through the state office of AARP in Richmond. Once the application process is complete, the local Fairfax Bureau can be in touch to talk about how you can lend your specialized knowledge to local members. 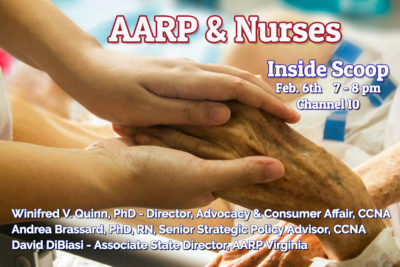 In addition to the speaker series, AARP also has other local programming available to members. The driver safety course is given throughout the year, and can result in a small discount on car insurance premiums. AARP also offers year-round Tax Aid advice free of charge, and a Voter Engagement Program. 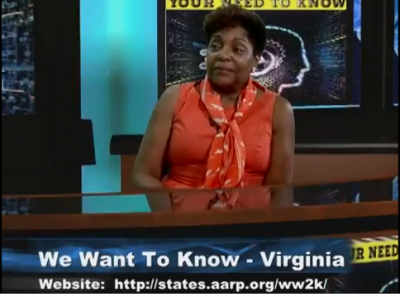 (Oct. 11, 2017) Catherine Read talks with AARP Community Ambassador Berniece Courtenay about a new program called “We Want to Know” which was created to foster greater voter engagement. Virginia is one of only two states with an off-year Governor’s race in 2017. Along with Lt. Governor and Attorney General, there are also 100 seats in the House of Delegates on the ballot this year. Berniece Courtenay talks about her journey to becoming an AARP Ambassador and the many volunteer opportunities available right here in our local community. Many people have a very narrow and one dimensional view of the AARP organization. There are thousands of AARP volunteers spread out across the country, and many volunteers here in Virginia. One of the core missions of AARP is education, and related to that is advocacy around issues affecting their members. Catherine points out the reluctance some people have of asking their question in a public forum even when the opportunity is created, as it was during the NoVIE Forum for both gubernatorial candidates. Those specific voter questions are central to making candidates aware of what a particular community, or region, is concerned about. It also highlights very specific issues that may not be part of a candidate’s talking points or stump speeches.